Can the use of social media increase rounds of golf played? How can powerful yet seemingly "fun" apps like Twitter, Facebook and Foursquare help bring more people from talking about golf on their computers and smart phones to playing the game? Golf is already considered a "social" sport for many, so it should come as no surprise that fans are using the internet to find great deals, to have fun with an interest to, well, be social! Large companies such as TaylorMade Golf and Golf Channel have social media gurus who create strategies for engagement and to build brand awareness. Believe it or not, you don't have to be a big brand in order to reap the benefits of social media but you do have to make the effort. Even small scale communication with your current and future clients will yield positive results, you just have to create a basic strategy for your golf course growth and then decide how social media can best work for you. Here are just a few ideas to get the golf ball rolling, so to speak, and to get more golfers onto your golf course! Share yours here! If you don't have a blog, create one on your website now! Post at least once per week with descriptive pictures. Don't fill your space with too many words, two hundred fifty will do but do be sure to include information about what's happening on your golf course. Make sure that, if you don't have a subscriber list, create one now. If I would have known that there were special events at my local golf courses like wine and dines, women's get-togethers, local championships etc, I most certainly would have attended! Be creative! The Cadillac Championship held a social media "happy hour" ...sounds like a great idea! Everyone loves a good deal. Offering incentives at your golf course like two-for-one golf on Facebook and Twitter and on sites like Groupon will get people onto the fairways. Also create print-out coupons on your website and feature on your blog so that golf fans will head over to your site to read your blog and download your offers. Do you use Foursquare? Geocaching? Ever heard of them? If not, you should. Foursquare, a GPS, social networking app, allows members to note their locations with a mobile phone and can find out where their friends are or have been. To be the "Mayor" of your golf course could yield special benefits like a free round of golf! Geocaching is also GPS based but is an outdoor treasure-hunting game. Basically, a golf course can post "clues" to find "hidden treasure" somewhere within the course and, when someone finds the ""item, they get the treasure. It could range from a sleeve of Callaway golf balls to a Titleist Vokey Spin Milled Wedge. In the last thirty days, almost eight million new logs were submitted to further confirm that this might be an interesting concept to include in your social media strategy. All of your great incentives and happenings should also be posted on Twitter and Facebook. Make sure to add "events" on Facebook. Where events can also be promoted on Twitter, it would be more fun to, perhaps, have a "retweeting" contest. Even if you aren't Ian Poulter who uses Twitter to gain followers with giveaways, you will surely get feedback. In order to have social media work for your golf course, it is important to think "outside the box". These few ideas will get you kickstarted and, using a bit of creativity, your golf course could increase its bottom line, that is, more players on the fairways, in the pro shop and in the pubs! Gladstone, NJ (MAY 20, 2012) – Azahara Munoz won the 2012 Sybase Match Play Championship after defeating Candie Kung 2&1 in a back-and-forth match in the final round at Hamilton Farm Golf Club. With the victory, the 24-year-old Spaniard becomes a Rolex First Time Winner on the LPGA Tour and adds $375,000 to her career earnings. After turning professional in September 2009, Munoz became the first Spaniard to win the Louise Suggs Rolex Rookie of the Year in 2010, and finished in the top-10 three times in 2011. Munoz is also a member of the Spanish National Team. Over the four-day tournament, Munoz faced a tough road to the finals, taking down Lindsey Wright (4&3), Hall of Famer Karrie Webb (2&1), Jodi Ewart (3&1) and Stacy Lewis (5&4). In the semifinals, Munoz defeated good friend Morgan Pressel (2&1). It wasn't an easy day for Munoz who mentioned, "it's been ‑‑ you know, none of us play our best, but we didn't make many mistakes. I feel at the end hole, 16 was kind of weird. She got really unlucky on the ball bounce way left, so I got a good break there. But other than that, I started pretty slow and then made really good birdies on 11, on 13, so that kind of got me going." There were two incidents which cast a pall over the event. The first was a slow-play, loss-of-play ruling against Morgan Pressel. Pressel then turned the tables by calling a violation (unsupported) on Munoz for allegedly touching her putting line with her golf club. As the 49th seed, Kung’s route to the finals wasn’t any easier. After facing Catriona Matthew (3&1) in the round of 64, she defeated Haeji Kang (3&2), No. 1 Ranked Yani Tseng (3&1), Julieta Granada (2&1) and Vicky Hurst (2&1) before losing to Munoz in the final. Every player Kung faced was seeded higher than her. For her second place finish, Kung earns $225,000. Morgan Pressel finished third, earning $150,000 by defeating fellow American Vicky Hurst in the consolation match, 2&1. Hurst banked $112,500 for her fourth place finish. Through their finishes, Kung, Pressel and Hurst qualified for the year-ending CME Group Titleholders. Munoz punched her ticket through finishing tied for second at the LPGA LOTTE Championship. Is Tiger Woods still the Number-One Athlete in the World? According to Forbes Magazine, Tiger Woods remains the World's Most Powerful Athlete for the eleventh straight year. According to his stats, Tiger is in the top-ten in the Official World Rankings but, as he mentioned after the Players, he's getting "smoked." Smoked Tiger, or smokin'? Woods topped a list of well-known athletes despite a slide from sixth to twelfth position but still, no other athlete could catch him, not even Tim Tebow who didn't even make the list. Quite frankly, in 2006 I could understand his Forbes placement but being in the number one spot in 2012 leaves me stumped. A second place finish at the Honda Classic and a win at Bay Hill seemed like the start of a Woods comeback but, a cut at the Wells Fargo Championship as well as two 4th place ties (Masters, The Players), has the internet buzzing about how Tiger ever kept his Forbes placement, the state of his mental game and physical condition. TheBigLead.com stated, "He did this despite being nowhere near dominant at golf, losing some sponsorship deals and pulling in a measly $58 million last year." The HuffingtonPost.com added, "Well, at least according to Forbes" ... with SBNation having the most cutting remark about Tiger Woods, "he may be past his prime on the golf course..." Ouch. On the flip side, and probably the main reason Woods remains the top athlete on the Forbes list is that, as Emily Kay said, "whether golf fans love him or hate him, they want to watch him." In my opinion, as long as the fans keep tuning in and the ratings surge whenever Tiger is playing golf, he will remain as the world's most powerful athlete. I guess Woods won't have to worry about placement next year either; his Forbes spot is safe...or is it? Golf has been called an art and practice is to the arts — whether music, dance or golf — what breathing is to life. Practice is integrated and inseparable from these experiences. Surrender to the practicing process is what makes refining your skills pleasurable instead of drudgery. There are many aspects to “practicing” the game of golf. There are the obvious things such as the full swing, sand play, chipping and putting. But, there are also the mental aspects of managing your mind, your thoughts and your round. All of these require an “awareness” of what you do in a given situation...what you should do, and a plan to get there. All champions know how they work and how they think. They have an awareness of their self-talk. • Practice Being Quiet –- Find ten minutes a day (or every other day) to sit and train your mind to be still. This will greatly increase your awareness of the things you are saying to yourself and will allow you to begin having more control of your thoughts when they are not serving you on the golf course. You can’t control what you are not aware of and this simple exercise when done daily will definitely help you step up your game. • Process NOT product –- Golf is a process. The score is the product. Focus on the process and the product will take care of itself. • Maximize Your Lessons –- What you do immediately after your lesson is part of the lesson. Take a few moments after each lesson to solidify your personal interpretation of what you learned and what you need to work on between sessions by writing down your thoughts. This will help to solidify in your mind what you have just learned and it is great for review in the future. • Practice doesn’t make perfect...practice makes permanent. Understand how your brain works and creates habits. Repetition = Habit (good or bad) and repeating the desired actions with a conscious intention of achieving something speeds up the process. Repeat and Relax. Know that what you are repeating with intention will become a part of your game. You don’t need to force it. Your brain will make it happen. This is true for physical actions like your swing mechanics and it is also true for how you think. If you don’t like the way you think you have to work at repeatedly thinking differently. Critical self-talk, re-living poor shots or missed putts are just a few examples of “bad” mental habits. They can and must be unlearned to reach your potential. • At least 50% of your swing practice should be AWAY from the range. This helps to keep you mindful of whatever aspect of your swing you are working on and keeps you from being distracted by undesirable ball flight, which is normal during times when you are working on one particular aspect of your swing. Simplify what you are working on to speed up the learning curve. You do this by working on small sections of your swing. Work with short intervals on each mechanic and perform at least some of the repetitions in slow motion. This helps to force your brain into the present moment and to increase your focus and intention thereby facilitating the process of habitualizing your desired mechanics. Following these tips will help you maximize the effort you put into refining your skills and your goals will flow toward you with much less of a sense of struggle. Mastering a skill efficiently with the least amount of effort is a skill itself and what you learn through your practice sessions with golf will serve you in all areas of your life, so know that you aren’t just working on your game. You are working on yourself. 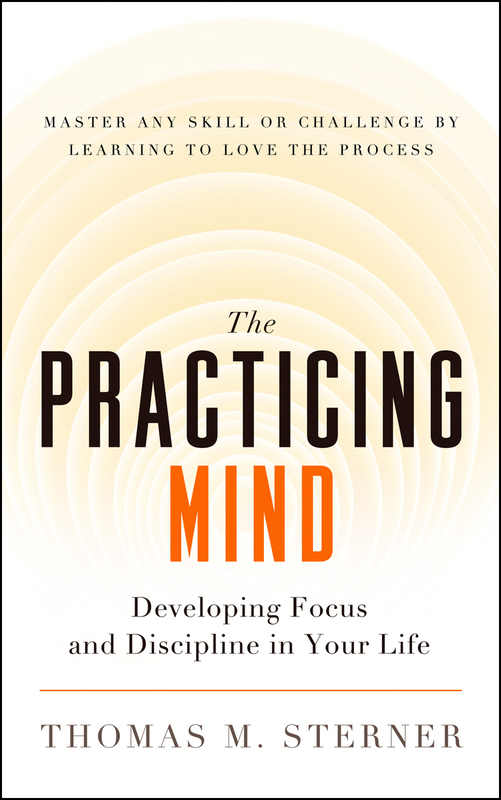 Thomas M. Sterner is the author of Practicing Mind: Developing Focus and Discipline in Your Life. 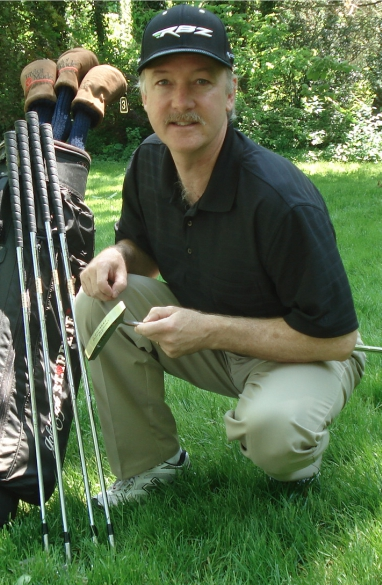 He serves as staff mental performance coach at Applecross Country Club, a Nicklaus design course in Downingtown PA, where he helps golfers of all levels improve their game. Visit him online at http://www.thepracticingmind.com. #Golf PSA for Skin Cancer Awareness Month...this means YOU! May is National Skin Cancer Awareness Month and, for golfers in particular who spend over four hours in the sun during a round, this public service announcement could save lives! This includes men and women who hit the links without appropriate protection from the sun – from not using enough sunscreen to not wearing protective clothing. According to the American Academy of Dermatology, the good news is skin cancer is easily preventable and – when detected early – has a high cure rate. SpotSkinCancer.org, which just launched this week, has everything you need to know about skin cancer, locations for free screenings, educational material and local dermatologist in each market. The dangers of engaging in outdoor activities like golf or hiking without appropriate protection- sunscreen, hats, could kill you. Be careful out there so you can attend all the demo days in your area! After attending the 9th Annual New York Golf Fest and Demo Day at Chelsea Piers this past weekend, I now fully understand the importance of trying as many golf clubs as possible before purchasing another set. With three tiers of hitting booths and all of the major golf club brands represented, I found the club choices to be overwhelming and a bit confusing too! From Ping to Taylor-Made, I was mesmerized by the number of golf club manufacturers lined up with bags filled with clubs almost hawking players to go ahead and take a swing. I couldn't get near the Rocketballz area at Taylor Made so it was onward to Ping. Ping's fitting area was, by far, the most technically "cool" area. While at the Ping Golf stall, I asked to try the Ping G20 irons which were "created" on the spot for my left-handed swing by screwing and unscrewing the head and shaft. I found the G20's were too light and bouncy for my swing; the oversized heads and wide soles are essentially created for added forgiveness. I use blades right now (an old set of Square Two golf clubs which are a mix of heavy, stiff-shafted short irons and even heavier longer irons) and so the PING i20's were definitely nearer to what I currently use. My husband plays golf with an old set of Ping i2's and swore he would never give them up but, after taking a few swings with this golf club, I could see he was more open to change. I was interested in learning more about the Mizuno line of irons as it seemed their name was on many lips at Golf Fest but, when I got to the Mizuno Golf booth and asked if there were any left-handed golf clubs to try, I was brushed aside with a quick "no". The rep actually seemed more insulted by my asking about left-handed golf clubs than I should have been at the thought that there were none in his bag! My driver is a Titleist 905T and my fairway woods are Titleist 904F; my sand and lob are Vokey Spin Milled wedges (and the favorite clubs in my bag) so my next stop was at the Titleist booth. It appears that new drivers in almost every booth I visited are all like sticks with big garbage cans attached to the end and that is the way I felt too until I tried the 910D3, a 445cc driver with a classic design. This Titleist felt more like my driver of old, except a little bit lighter. That being said, I think my arm can be twisted to play a few rounds with this driver. At the Cleveland Golf booth I was hard pressed to find a left-handed iron until one of the instructors handed me a CG16 Tour iron. He actually handed me a ladies golf club first, from the Bloom set and, I must admit, if I was a beginner woman golfer, I would definitely have considered owning this golf club. It was light, easy-to-hit and all of my shots were getting airborne and were straight down the middle. The Cleveland CG16 Tour irons were definitely more for my playing ability yet also offered a bit of forgiveness. This brings me to why all golfers should find a Golf Product Demo Day in your area and participate. Whether or not you are planning to buy golf clubs, you can see and hit a variety of irons woods and wedges as well as talk with manufacturer representatives to get a sense of where your golf game is in relation to the clubs you currently play. Cleveland Golf even had a truck in front in order to fit you with golf clubs! You'll learn more about yourself and your golf game after attending one of these events. And...where else will have the opportunity to see golf clubs like this Honma driver worth $2,400! Why is it worth so much? The manufacturer rep stated that "It's hand made, a 154-step process...it has 24-carat gold paint and has solid gold hozel rings." There is a platinum version available but gold is a girl's best friend. Where else can you hold a golf club like this in your hands and dream? Oh yes, left-handed version not available. Thank you to New York Golf Center for your hospitality and to Mike Wolfe for the invite.